Give the people sports and they will forget all about politics. Such a maxim could be attributed to all manner of political figures from Commodus to Machiavelli. 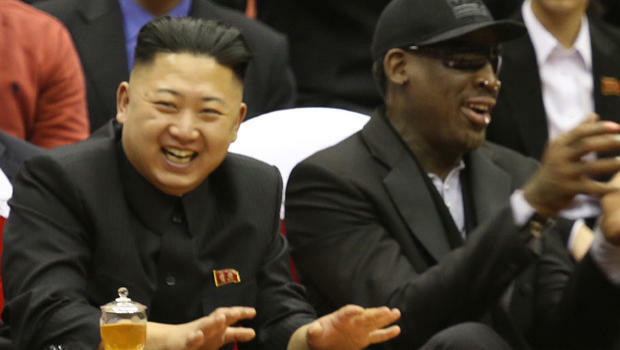 We can now add Kim Jong Un to that list after the North Korean leader welcomed former NBA weirdo Dennis Rodman to Pyongyang for a basketball game between the Harlem Globetrotters and some locals. What could possibly be the impetus for such a meeting? Was it because, as comedian Bill Maher suggested, the young, pudgy dictator confused Rodman for President Barack Obama? Was it a goodwill tour aimed at opening a dialogue between two global adversaries? No one really knows what the purpose of this charade was except that it was filmed to be part of a television show for VICE TV on HBO. 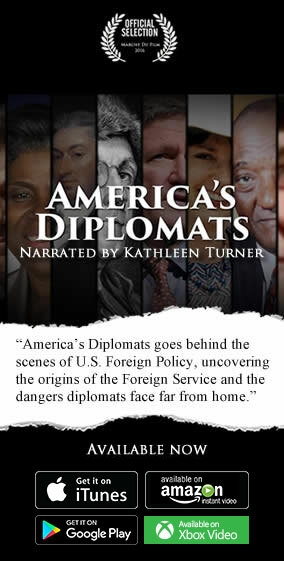 Most cross-cultural interactions between the United States and the Hermit Kingdom in the past have included well-respected statesmen such as former Presidents Jimmy Carter and Bill Clinton making the trip to the communist nation. The visit of Rodman, the flamboyantly tattooed oddball whose shenanigans have included wearing a wedding dress to a book signing, raised quite a few eyebrows but also generated a significant amount of publicity. Kim Jong Un, who is apparently a big basketball fan, wined and dined the former Chicago Bulls rebounding fiend who arrived February 25th and spent three days in North Korea. Rodman also became the first high-profile American to meet the young leader. The extravagant dinner presents a paradox of sorts when considering many North Koreans are on the verge of starvation. Some reports have described a shocking cannibalism phenomenon in recent months. That sad reality notwithstanding, Rodman conveyed his appreciation to his new “friend for life” and promised to provide more details of his trip in the coming days. Arch Puddington, vice president of research for the human rights NGO Freedom House (and also winner of the Coolest Name Award), echoed those thoughts. “History is cluttered with the examples of academics, philosophers, renowned writers, and eminent advocates of humane ideals who have aligned themselves with or apologized for the world’s most despicable tyrants. Given this context, Dennis Rodman’s choice to pal around with a leader who oversees one massive, countrywide concentration camp is very much in the minor leagues of dictator worship. However, some on social media offered the postulation that because Rodman would not be lecturing his counterpart of the finer points of democracy, there might be a better chance at “softening up” the Korean autocrat. It also wouldn’t be the first time sports diplomacy played a part in ameliorating a seriously foul international situation. The sporting boycotts of apartheid South Africa played a crucial role in ending the rule of that racist regime. It might be a stretch to think a guy like Rodman could be America’s breakthrough into the highest echelon of North Korean government, but I suppose stranger things have happened. After all, I never thought I would use the tags “North Korea” and “Dennis Rodman” in the same post, either. Tim LaRocco is an adjunct professor of political science at St. Joseph's College in New York. He was previously a Southeast Asia based journalist and his articles have appeared in a variety of political affairs publications. He is also the author of "Hegemony 101: Great Power Behavior in the Regional Domain" (Lambert, 2013). Tim splits his time between Long Island, New York and Phnom Penh, Cambodia. Twitter: @TheRealMrTim.